Jett is our first home bred 1st generation Kinder. 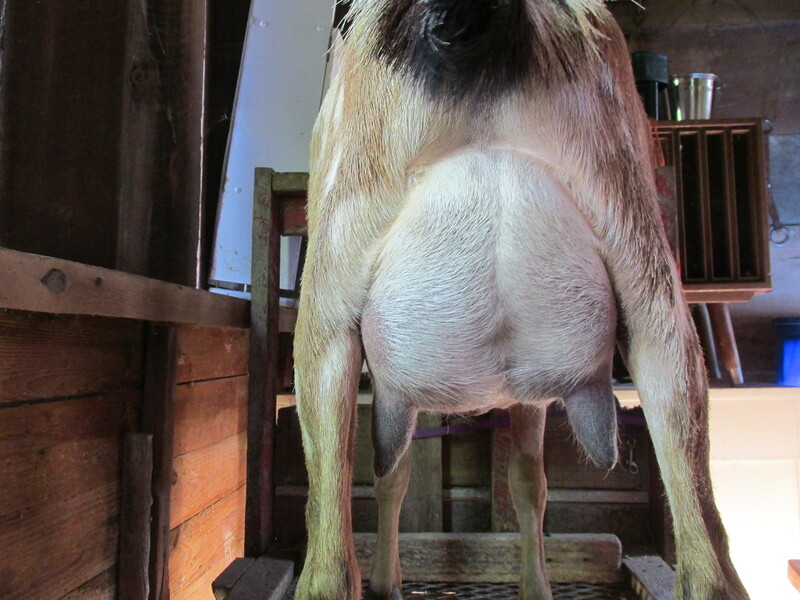 His mother has a beautiful udder. He produced nice solid kids with level long bodies.